Nice boots! 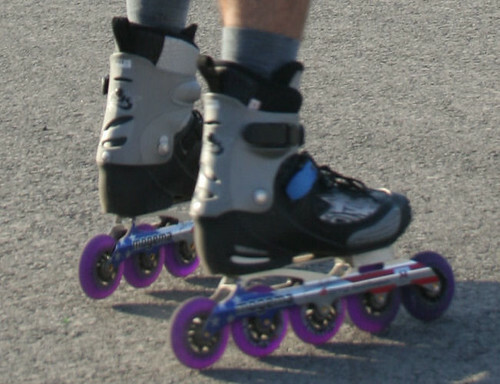 the new speed skates sure have a lot of mounting points! dmoore, quit complaining and focus on your technique where the real issues lie. Some people are always blaming the equipment. 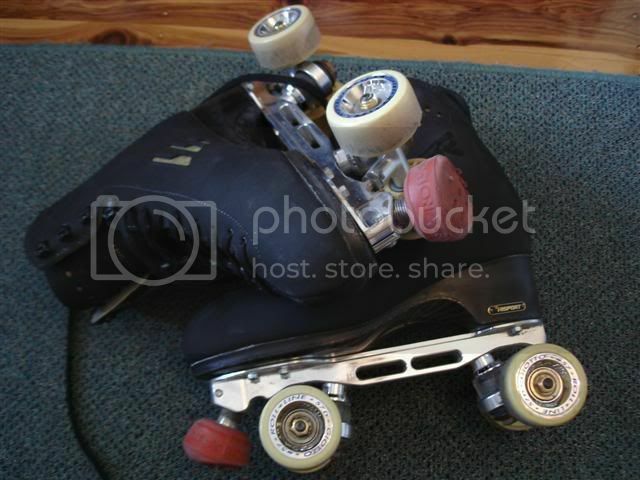 Others think that if i just get this or that new wheel or frame or whatever, i;ll suddenly skate like Joey. That said, start with adjusting the frames, and with any luck, yours have screws that can be backed out and adjusted, as opposed to nails. Perhaps my attempt at humor was a bit too subtle? Saw the pic and couldn't resist. I'll consult with John Kerry for my next joke. 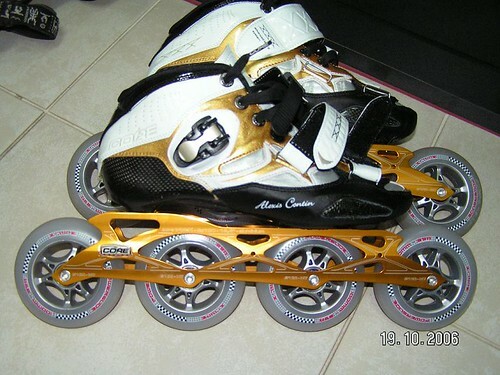 nice skates,,,,,,have u tried the rolline super jump,,,,light cocoa color,,,, good spring on them,,,,the reds are the same as the natural color in how they respond,,,,,,,,,,what color is the boot???? have fun,,,,looks like u do singles with that setup. super jump are the newish ones right? nah i havent. the boot is black, prolly looks different in the picture. 1)Are which Giotto's are you skating on? 2) What type of floor are you skating on? 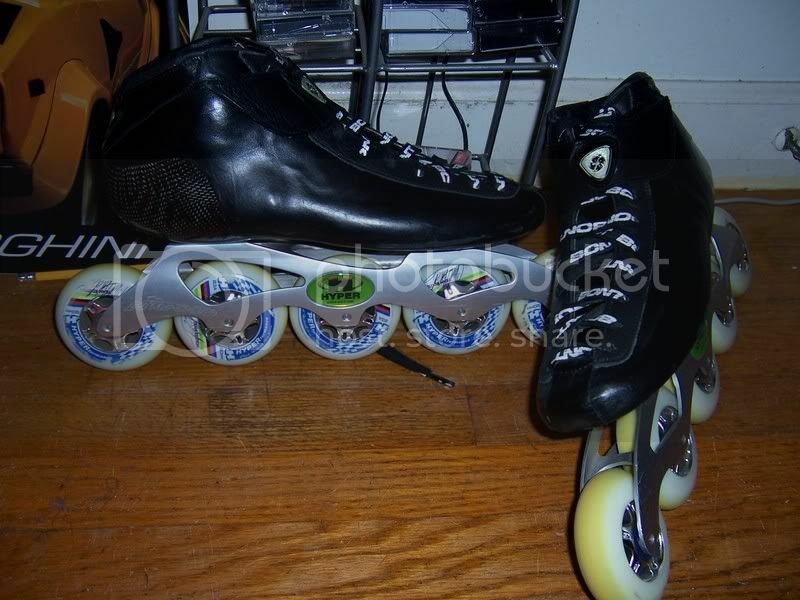 Hi Liz i am not sure about his wheels or floor the toe stops are rolline, regular sized,,,,probably metric thread because of the rolline plate. the rolline toe stops are a bit smaller then snyders. Yes Kev they are the new rolline toe stops with a 6 -6 -6 rating for a little more bounce,,,,josh rhodes likes them and my son derick does too. i hear your also a good figure skater. im using a 57D hardness giotto, with 57 diameter. i skate on a wooden and also a concrete floor. i may check them out, josh is one of my favourite skaters. i have heard good things about him. 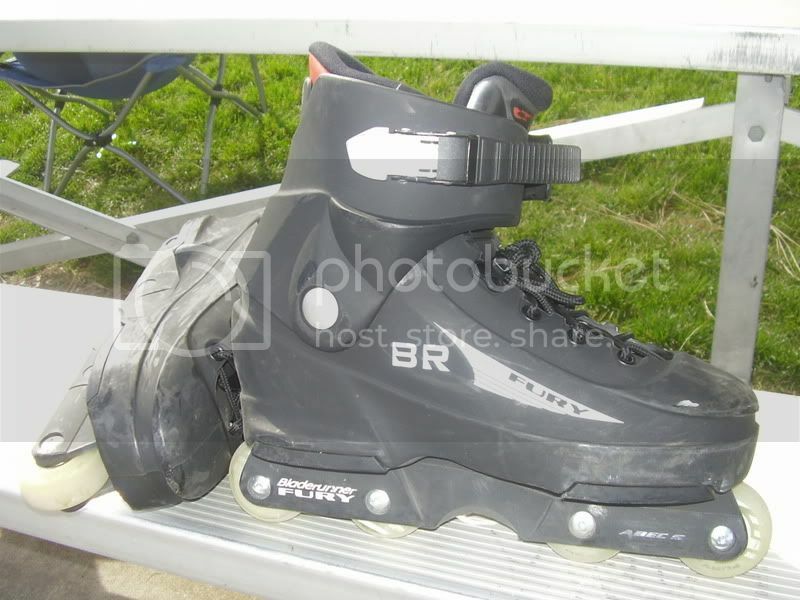 My one of a kind Bont Storm boot. Hyper Nitrous Frame 5 -80MM. Hyper Chad Hendrick 80MM wheels. hi Kev i was talking of josh and my son derick,,,,derek leonard is another up and coming skater, finished 2nd at nationals this year behind josh,,,,he has a 3loop, 3sal,3mapes, 3 toe walley but no 3 lutz or 3 flip yet and a good 2axle i almost forgot about. decent spinner also. a good kid to add to it all. ^ oh i see, my mistake rick. triple loop and no lutz/flip? is he going to worlds? what level does your son skate? My gear is just off the shelf FILA M100. hardly worth an extra pic, you can find em on www.filaskates.com - i like em a lot though! Last edited by skillwilly; December 11th, 2006 at 09:47 PM.